Apocalyptic fiction; novels of the end-of-days are very popular right now. But I have read only two that I would call essential. 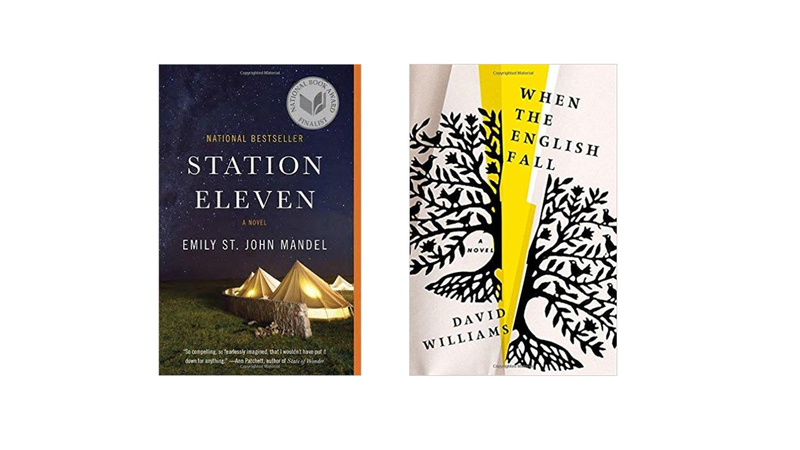 “Station Eleven” is one. All of the action of the story is set off by a viral pandemic that kills millions and millions of people. But what makes this novel essential is that through this story we are shown how very interdependent are our everyday lives. There is one paragraph in the novel that is startling with the truth it reveals of our day to day interdependence with each other. What would make daily life fall apart so quickly as portrayed in all apocalyptic fiction? Well, in an airborne pandemic that sickens and kills people in twenty-four hours, death would quickly spread to workers who keep everything going; people who go to work to keep the power going, to keep the water running (and sanitary), to keep food produced and being delivered to stores, to keep planes, trains and automobiles running. That would be the human apocalypse. With that collapse of our human infrastructure, what would prevent the slow demise of the human spirit too? Station-Eleven ask that too. Station-Eleven answers with its focus on human spiritual survival through the art of a traveling band of actors who act out Shakespeare, even at the end of days, uplifting the human spirit. I read Station-Eleven two years ago (March, 2015) and that still sticks with me. December 2-3, 2017, a weekend, to begin my recovery from the end of the semester push, I picked up “When the English Fall.” That novel is the second story of the apocalypse that I say is essential. Always, novels of the apocalypse focus on mainstream, every day existence and the collapse of technological infrastructure. But when that part of human life is given attention, we seem to have forgotten that not all we humans, even in America, live lives dependent on technology. What about the Amish? What about the plain-folk, religious folk who have chosen to and have been living as survivalists, without store-bought stuff, without technology, even electricity for hundreds of years? When our electrical infrastructure dies, do their lives change at all? I read “When the English Falls” in the quiet of my home; away from the hustle and bustle, the hard work, of the end of the semester. Reading it was a balm to my spirit; a retreat that my soul needs, every now and then. 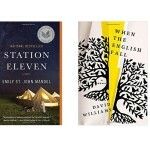 “Station-Eleven” and “When the English Fall” are not just stories of the end-of-days collapse of the modern. Both novels are about what we must always do to hold on to the gift of our human spirit, no matter the troubling circumstances of the day. That is why I say, if you want to read apocalyptic fiction, these two novels are essential reads. Making Gumbo © 2017 by Rupert W. Nacoste, Ph.D.